The Florida Mental Health Institute (FMHI) Research Library in collaboration with the Center for Autism and Related Disabilities at USF proudly provide autism and related resources available to the community. The easiest way to see what is available and can be borrowed from the FMHI Research Library is to use the USF Libraries website. Go to the USF Library Catalogue Advance Search. Type in keyword(s) you would like to search by and where to look for them in (i.e. title, authour, etc.). In the Location field, select "DE LA PARTE INST (FMHI) – Tampa" from the dropdown menu. Click on the "Search" button. Results specific to FMHI Library will appear on the next screen. Visit the FMHI library in person. All community members and visitors are welcome to use print materials inside the Tampa Library during regular operating hours. However, materials cannot be checked out directly by non-USF affiliates. Visit your neighborhood library. Individuals can borrow materials using the Florida Interlibrary Loan System through your neighborhood library. The librarian at your local library will need to know that the OCLC Symbol for the de la Parte Institute Library is "FHM". 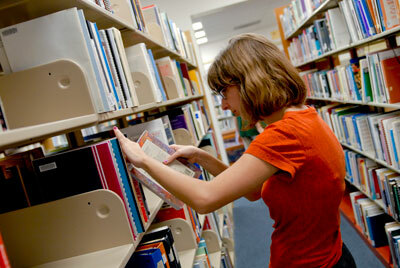 Your librarian will also be able to help you locate materials that are available at our library. Materials will be sent to your local library and you will be able to check out and return them to your local library. Library is located in the Florida Mental Health Institute building (MHC) on the northwest corner of the University of South Florida, Tampa Campus. For more information on getting to the FMHI library, see their FAQ page. Just after Bruce B Downs Blvd, take the first right onto USF Banyan. FMHI is the building immediately in front of you. Take an immediate left onto USF Banyan Cir. Visitor parking lot with pay station is on the left side. Lot 38T.